When LaVerne Harding sat for this photo portrait, she was among the very few female animators in Hollywood, and the only woman animating at the studios on short cartoons. Her talent had paved the way for what, at that point, was proving to be an enduring career with producer Walter Lantz, and she was proud of her standing as one of his key artists. It is all the more amazing, as I covered in my last post, that she earned her stripes at Universal while also serving as the cartoonist of a daily newspaper strip, Cynical Susie. This Depression-era comic landed in the funny pages at a time when about a quarter of American women were working, according to the 1930 census. To understand Harding’s experience breaking into cartoons then, it is insightful to look at the trends of this turbulent decade. Overall, the Great Depression led to both gains and setbacks for progressive causes. And not coincidentally, marriages were rocked by the financial upheavals, with waves of engagements broken off when the man was deemed no longer wealthy enough to provide for his bride-to-be. This was the case with LaVerne Harding. She came to realize how fortunate she was working for Lantz. She was likely averse to some of the risks that her male peers could more easily take, such as an offer to follow Tex Avery over to the Schlesinger studio in 1935, which Virgil Ross accepted and she declined. The majority of Universal animators zigzagged in and out of employment with Lantz during this decade, often maneuvering to work at Disney, but she stayed. One aspect of being a self-reliant woman in the Thirties was the necessity of prudent decision-making, even extending to one’s personal life. As with other trailblazing career women of her generation, an offer of marriage was a loaded proposition that could undermine workplace ambitions—either from the husband, employer, or from the pressures of the norms of society. And like others, Harding simply chose never to marry. Her private life was anchored by her faith. She was a devout Christian who regularly attended Sunday services at Trinity Methodist Church. She dedicated her work-life to her craft, becoming an accomplished animator who remained with Lantz for decades, smoothly fitting in with the men. Harding always contributed well-animated scenes to the cartoons she was assigned, but she lived at a time when a woman’s hard-won gains could easily be taken away. With Lantz as her benefactor, she had a boss she could trust. Naturally, his investment in picking Harding had lots of upside for him, too. She was one of his staunchest allies, even continuing to work in 1940 when Lantz ran out of finances and credit during a critical period when he might have lost the studio. I’ll tell that story in more detail in just a moment. First, let’s circle back to Cynical Susie, Harding’s comic creation. The beauty of this strip is the casual assertiveness of Susie, a girl who may have embarrassed easily—her audacity and her pep led her to misconstrue things—yet she can just as easily be seen adventuring around with ease. In this daily strip above, we find her soaring up in the clouds with an aviator. It is possible there was additional fulfillment for Harding to draw Susie contending with the world in this fearless manner. Harding, a reserved Louisiana Southerner by her upbringing, nonetheless had this opportunity to vicariously live by a different temperament through Susie. And that’s to say nothing of the character at Lantz she said was her favorite to animate in later years: Woody Woodpecker. Yes, it’s those “quiet girls,” as the insinuation goes, for whom “you can never tell.” Was there any truth to that with Harding? Did she maintain a guarded shell, holding back secrets or concerns? Whether or not her status as the only woman animating among men ever had an emotional toll, we probably will never now know. By the eyewitness accounts of her peers, and in her own words, she found contentment and professional satisfaction in her role at the Lantz studio. She was always a strong contributor to the cartoons, and she was easy-going and resourceful. She never took part in the pranks that happened all around her, and when she later shared recollections of them in interviews, it was usually with a chuckle. She seemed to fondly remember the boyish atmosphere of working at the Lantz studio from 1932 to 1960, quite a remarkable long stretch. There were some animators who were with Lantz in the 30s and returned in the 50s. Examples were Paul J. Smith, Alex Lovy, and Avery. 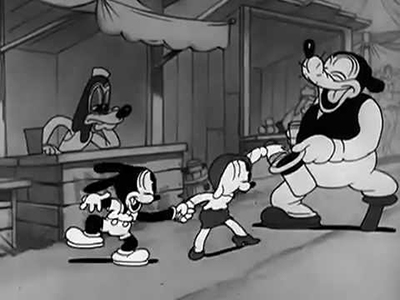 However, only Harding remained there for the entirety of the Golden Age of cartoons. The only asterisk to assign here is to understand that there were some periods of stoppage while the studio worked out financial shortfalls. During one of these, in 1940, she certainly demonstrated her incalculable personal value to Walter Lantz. The long shadow of the Depression had been roiling Universal Pictures for the better part of the decade, and staff had grown used to low budgets and dire forecasts. There had been gallows humor within the ranks during the late 1930s as they wondered about the studio’s solvency, yet somehow Lantz always managed a patchwork financial deal to keep things going. 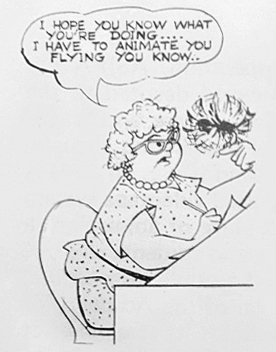 According to Harding, from a 1980 interview by Joe Adamson, she suggested to others that if they were going to gather at the studio anyway, they might as well make another cartoon. It was a selfless, gracious gesture, and it ultimately was a turning point in Walter Lantz’s life that allowed him to realize his dream of becoming a truly independent producer, something he was striving for since 1936. Lantz was working furiously behind the scenes to have more credit extended, and so to have Harding’s initiative and support in this effort was crucial. Bolstered by the implications of her suggestion, he told the animation staff that if they made a cartoon, he could use that as collateral to get a loan from a bank to found his own studio, one that was formally separated from Universal. The staff worked for weeks without pay, and within five months Universal was releasing its cartoons, this time under a new business relationship as Walter Lantz Productions. Harding and many others returned, and Lantz finally achieved on his own what eluded him at Universal. His third cartoon featured a character that became a star, a rambunctious bird named Woody Woodpecker. Considering her role during that breakthrough moment when Lantz finally became an independent producer—and was then rewarded with the wild-eyed success of Woody, a character he 100% owned—this drawing of LaVerne with a bird evokes the understated manner in which she made a big difference. It’s as if she drew those wings on Woody too, helping him fly up there among the pantheon of Golden Age cartoon characters. Wow, that is an interesting story indeed. 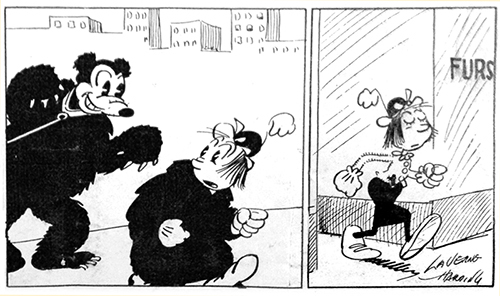 I continue hoping that there is another volume of Lantz cartoons under the banner WOODY WOODPECKER AND FRIENDS, not only to gain more and more of those one shot and OSWALD cartoons from the 1930’s, but also so there can be a special feature on the life and times of Laverne Harding. I’m a little confused with that sentence. I’m not sure there were any female animators on the Disney feature films, were there? Yes, I wrote that sentence gingerly so as not to overlook the contributions of Retta Scott, who animated the hunting dogs chasing Faline in Bambi. Her role as an animator was not lasting, however, and the distinguished career she had was largely as an illustrator. Harding nonetheless stands out as having a long-standing and prominent career as a key character animator within a Hollywood studio. Although there are exceptions that prevent making a sweeping statement, most Golden Age animators would have casually said LaVerne was the only woman animator in Hollywood. Also, I’m not entirely sure when this photo was taken. It was undated, though I’m guesstimating 1940s. Can anyone offer a clue from the frames she’s wearing? Why did Rhetta stop being an animator? Was she involved with the strike? 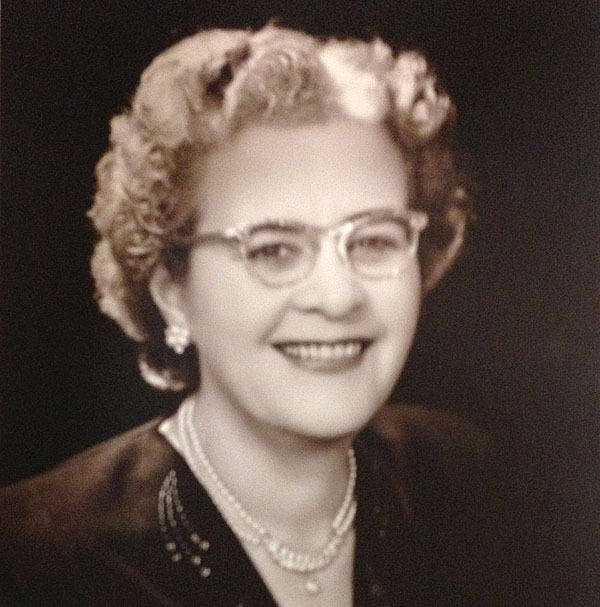 I’d never seen a picture of LVH before; she looks almost exactly as I imagined. Her work at Lantz is memorable, top-flight, esp in the 40s. But that story of her contribution to keep the studio afloat is legendary. Actually the not-Smith ones ranged from decent to good, and I for one want those released. There’s about twenty of them left, so there’s be more room for other Lantz material. The pictured Lantz era of Oswald is so damn good. They took him out of the pastoral Disney setting and dropped him in the city with exquisite results. Just look at the beautiful grey on grey backgrounds of the depression era slums (similar to those of Cynical Susie). They have to put these out in a complete package at some point. BILL NOLAN makes these cartoons IMO. His Felixes and Krazy Kats next to these are a high watermark in animation: with so many bizarre, proto-psychedlic rubber hose gags it makes me wonder if we’d ever have a Clampett or a Tashlin without him. Another excellent installment, Tom, although I’d still like to know your thoughts if any on the perceived decline in Disney animation vs Disney’s original intent as I suggested last entry. Instead of another volume of “Woody Woodpecker and Friends,” how about instead a “Chilly Willy and Friends” set, which could contain a number of the Chilly cartoons not yet released (and maybe reissue a couple that have,) with room for some of the very funny short series and one-shots Lantz produced from the mid-50’s thru the early 60’s? (Maggie and Sam, Fatso Bear, etc.) Some earlier and black-and-white-era items could be mixed in as well. Chilly Willy is still an appealing character with plenty of merchandising potential, and would provide an excellent “hook” on which to hang a set of this kind. Wonderful Article Mr. Klein, and Beautifully Written Too. I agree with sentiments for another set of Universal cartoons, though economics of studio-release DVDs are trickier these days, with home video a much tougher sell for them. and Jeff, a Chilly theme seems a good idea; character themes are more marketable. 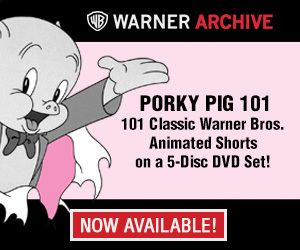 But what I’d give to see a pristine box set of vintage early-Lantz Oswald! In regard to the question about “Disney decline,” it’s just not something to which I give much stock, even though at various times of course that’s been true. Times and public tastes change, so IMO it’s difficult to be so purist that contemporary releases still get judged against a litmus of Walt’s sensibility. Too much has changed to make simple comparisons of eras. And look, I’m probably a bit of a H’wood classicist (since I write a regular column about 30s/40s Lantz cartoons, so guilty as charged) but I enjoy lots of modern cinema too, Disney included. Here’s where I think we’ll easily agree: I hate this unyielding stream of hybrid live-action/CGI remakes, like the recent Jungle Book. But, I’m getting off-topic– let’s talk about LaVerne. Thanks for your comments, and glad to hear that a number of you enjoyed today’s post. What are the economics of digital release? It would be nice if some of these cartoons were available for purchase on iTunes. whose great deeds we were told we should learn. but just how we could not quite discern.